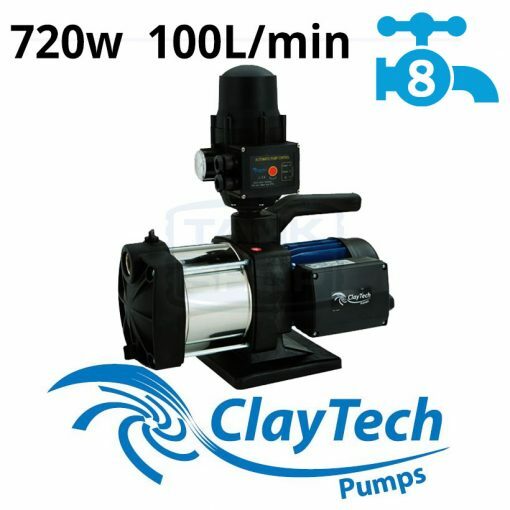 ClayTech’s Inox Series multi-stage pumps are well-known for its quiet, reliable service in the Australian market. Designed for a larger Australian home, it is more energy efficient than a jet pump but is self-priming to a depth of 4m. This makes it ideal for above and below ground rainwater tanks. It has automatic operation with loss of prime protection and 24 hour restart to see whether there is water in the rainwater tank. Ideal for whole of house installations.